Ingrown hairs aren’t a serious medical problem, but they can be seriously annoying and embarrassing. They occur when a hair curls around and grows inside your skin instead of emerging up and outward. Ingrown hairs are most common in frequently shaved areas since razors leave the hair with a sharp edge that can easily grow into the skin. Waxing and snug-fitting clothing can also cause them. 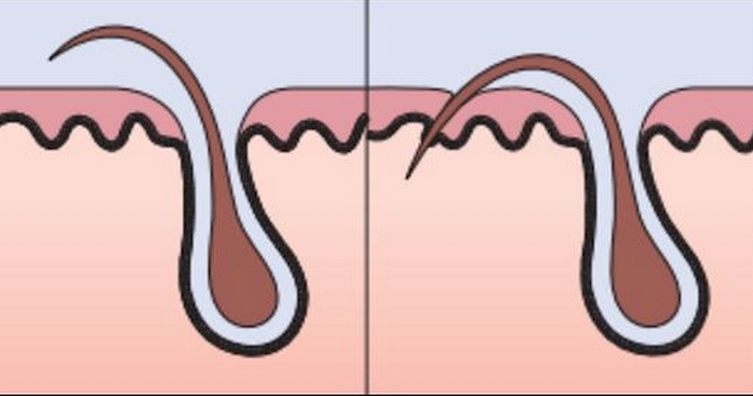 People with coarse or curly hair are more likely to suffer from ingrown hairs due to their hair’s tendency to curl. Ingrown hairs can cause small, irritating “razor” bumps, and if you’re not careful, they can cause infections. They’re a serious nuisance, but there are some things you can do to make sure you never suffer from an annoying ingrown hair ever again. 1. Up your pre-shave game. Start by incorporating some steam into your shaving regimen. A hot shower or bath is best, but applying a warm, damp cloth to the area works as well. Gently wash the area you’ll be shaving with a mild cleanser, then apply a lubricating shaving gel or cream a few minutes before shaving. 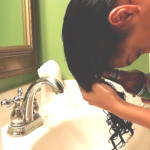 This process softens the hairs, making them easier to shave and less prone to coarse breakage. 2. Choose the right razor. When it comes to your choice of razor, don’t be stingy. Use a sharp razor every time you shave and once you sense the blade(s) getting dull, replace your blade or cartridge immediately. Try using single-bladed and multi-bladed razors and decide what works best for you. 3. 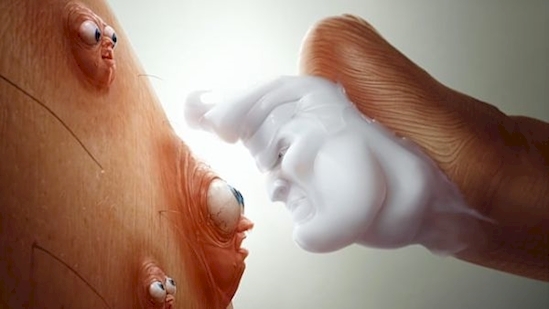 Use proper shaving technique. Shave with the grain and rinse the blade off between every stroke. Don’t press the blade hard to your skin and avoid pulling your skin taut. You might not get as close of a shave, but your skin will thank you. Finish by gently washing your shaved area with a mild cleanser and lukewarm water. Pat dry. 4. Apply acne medication to affected area. Remember those awkward pre-teen days when you needed acne cream to calm your spastic pubescent skin? If you do get an ingrown hair even with proper shaving technique, bust out the acne cream again and apply it to the ingrown hair spots. The cream will help reduce inflammation and swelling. When you do have an ingrown hair, never pick at it with your fingers. Your fingers are covered in harmful bacteria and touching an ingrown hair spot can cause irritation, inflammation, and infection. So hands off! Exfoliating removes dirt and dead skin cells and softens the hairs in that area. This prevents skin cells from blocking your pores and causing ingrown hairs. Use scrubs or exfoliating cloths and pads. If you already have an ingrown hair, gently exfoliating the area can help alleviate the problem sooner. 7. Remove the hair with tweezers. When the hair begins to show itself, use a pair of sterilized tweezers to pull the hair from its inflamed chasm. Start by dabbing the affected area with a cotton pad dipped in rubbing alcohol. 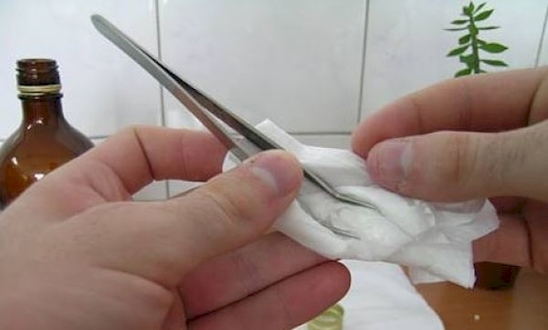 Then rub a clean cloth dipped in rubbing alcohol on your tweezers. When you’ve removed the hair, cleans the area gently with soap and apply an antibacterial ointment to the area. 8. 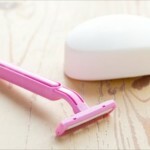 Simply stop shaving or waxing. If you really can’t handle ingrown hairs, just let your hair grow freely and enjoy your new shaggy dog look. Warning: some people may confuse you for a Sasquatch.